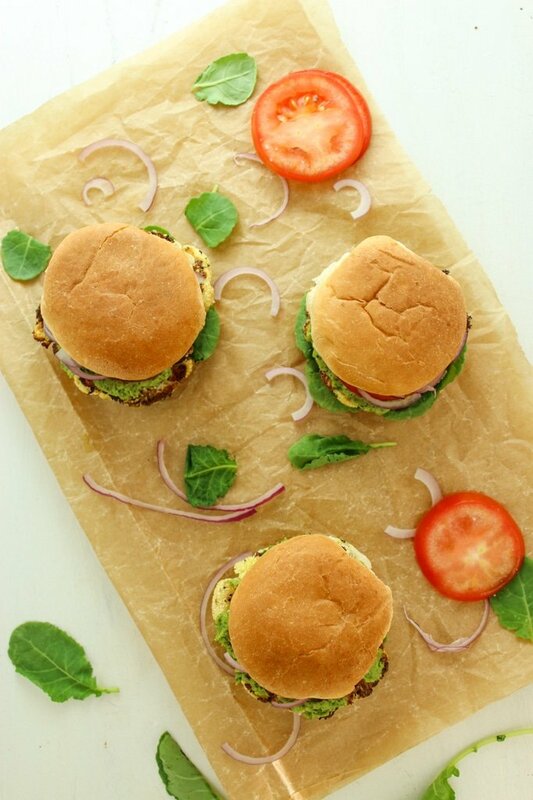 I’m so excited to share this recipe because SERIOUSLY – look at the cuteness of these sliders! What’s inside, you ask? Cauliflower steaks! 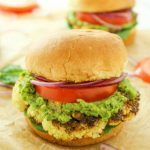 Seasoned simply with salt and pepper, roasted to golden brown perfection, topped with cashew pesto , and smooshed between mini buns. This is for real one of my all-time favorite things we’ve ever made! For the past couple of months, I’ve been seeing recipes for “cauliflower steaks” all over Pinterest and the internet. And they look SO good. If you haven’t heard of the concept before, here’s a quick rundown. You take a head of cauliflower and slice it down the middle to get big cross-sections. And then you oven roast or cook them in a skillet with your desired seasonings, toppings, etc. The end result is a vegetarian entree that resembles the way an actual steak is presented. I know I’m not fooling anyone – cauliflower doesn’t remotely taste like beef. But still – I love the idea of subbing a vegetable into dinner as the main attraction! I was cutting up cauliflower for dinner one night when the idea for these popped into my head – people make sliders with steak, so why not put cauliflower steaks into a slider?! And that’s how these adorable mini sandwiches came into wonderful existence. This recipe can be customized and modified so. many. ways. You could season the cauliflower with a sweet and spicy marinade or maybe a Mediterranean spice blend? You could top the “steaks” with avocado, or tahini, or sriracha, or cheese, or sprouts… The possibilities are endless! Personally, I’m a big fan of cashew pesto.  I made a batch of the same recipe we use for zucchini noodles because it’s the bomb. If WHEN you recreate these at home, be a show-off! Tag me on Instagram or send me a snap! 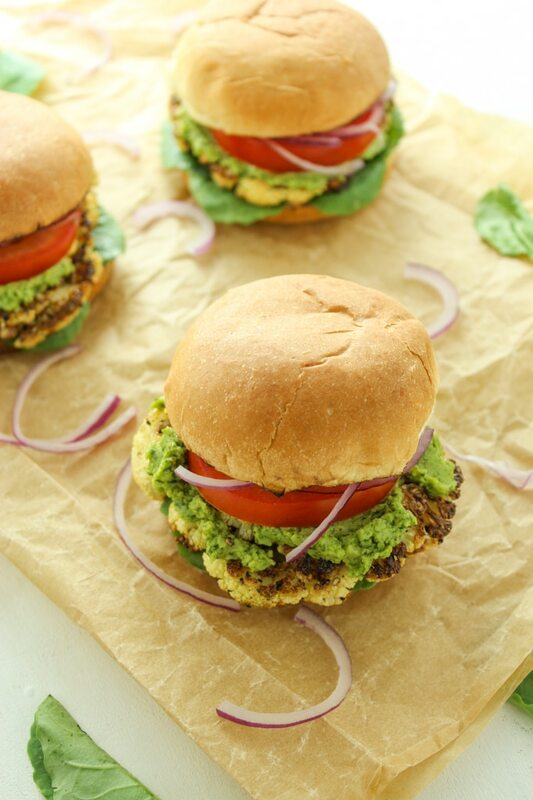 These vegan sliders are stuffed with savory, roasted cauliflower steaks and cashew pesto. Preheat the oven to 400º and line a baking sheet with parchment paper. 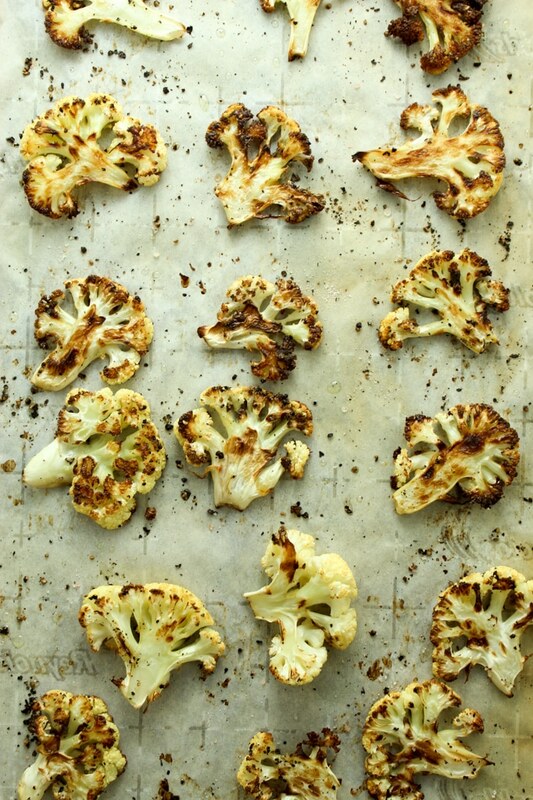 Arrange the cauliflower steaks on the baking sheet and coat lightly with olive oil or cooking spray. Sprinkle with salt and pepper to taste. Bake 15 minutes, then flip the steaks and bake for 10 more minutes. While the cauliflower is baking, you can whip up the pesto! Add cashews, basil, olive oil, garlic, nutritional yeast, lemon juice, salt, and pepper to a food processor and blend until smooth. This will likely require some scraping the sides to get everything combined. 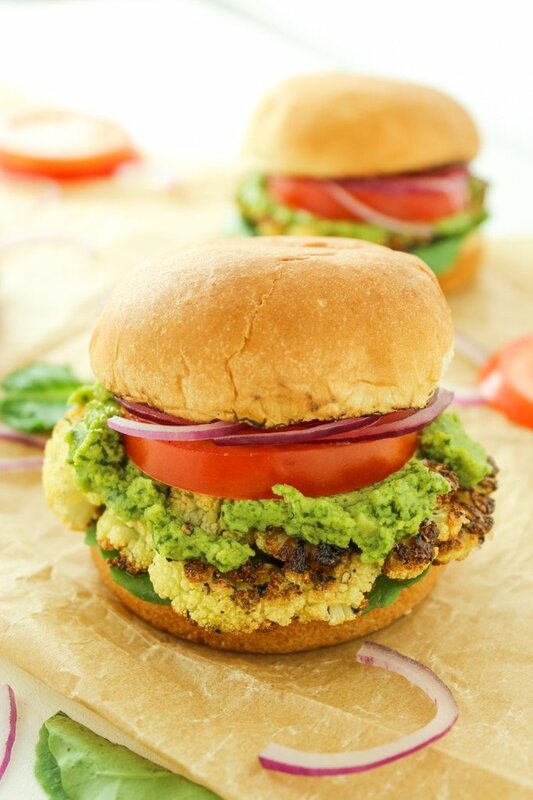 *Nutritional yeast is absolutely necessary for this pesto – it has a cheesy flavor! You can find it in most major grocery stores, health food stores, and on Amazon. One word – wasabi mustard! What an amazing idea ! Will definitely try!